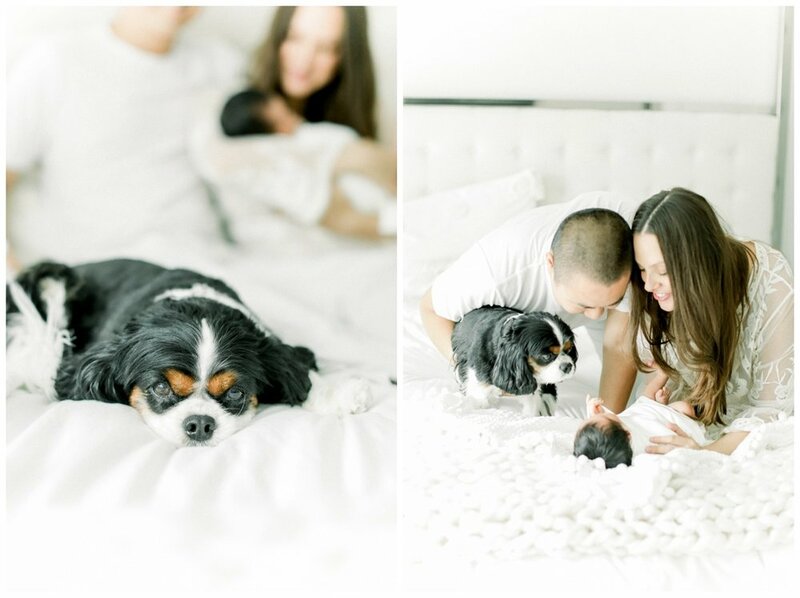 Loved this Los Angeles modern in-home lifestyle newborn session. All those pure whites made this session so dreamy, not to mention that soft diffused light. 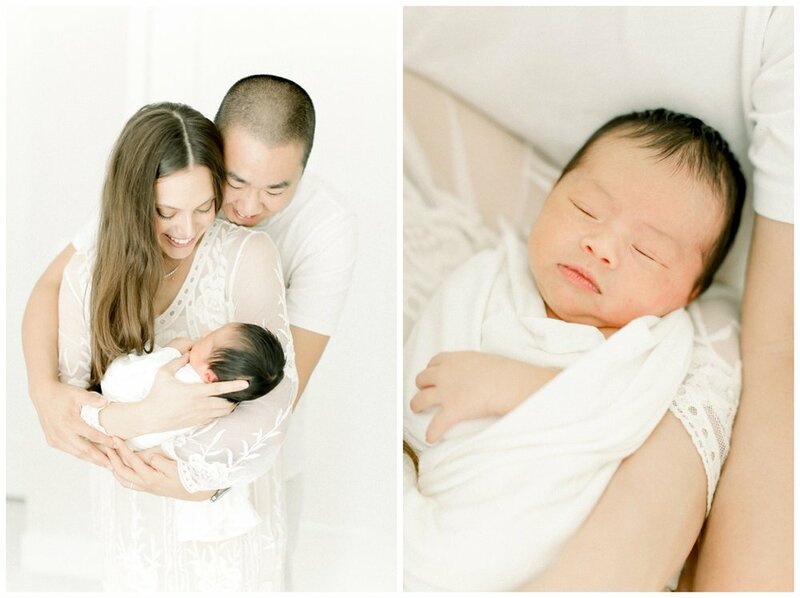 These two new parents were such a dream to photograph as they loved on their firstborn. Also, their sweet fur-baby stole the show a few times in the cutest way, making for some great lifestyle shots.